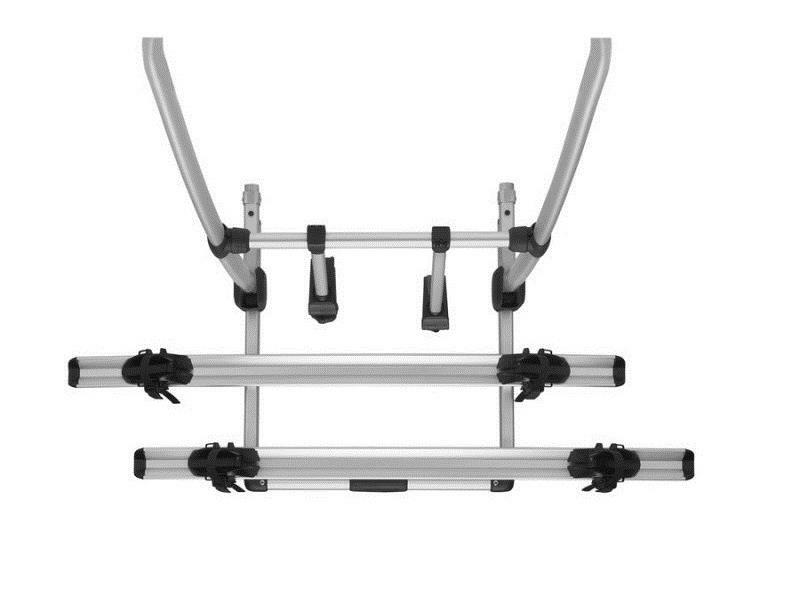 This is the best selling of the Thule bike racks. It has most of the features that you would require at an affordable price. 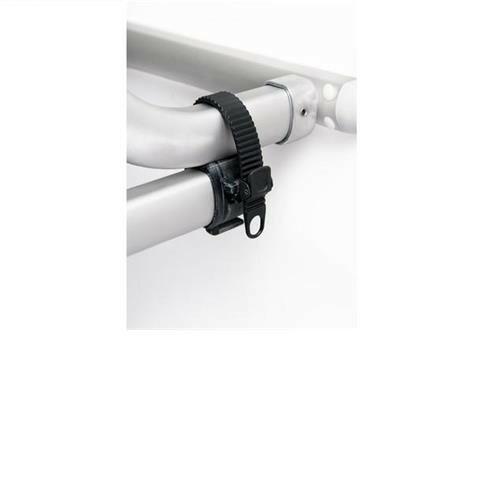 This version of the Thule Elite G2 is the standard and recommended for caravans and motorhomes with a vertical wall between 80 and 150cm. 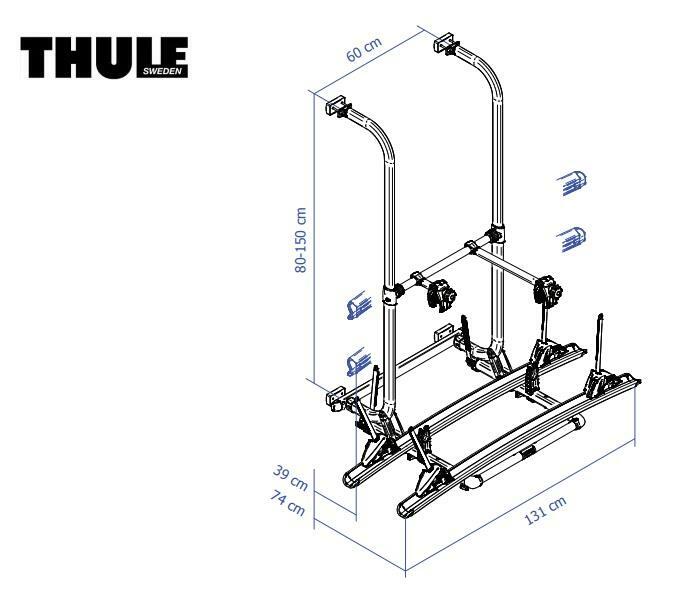 With a maximum loading weight of 60kg, the Thule Elite G2 Standard can carry E-bikes as well. 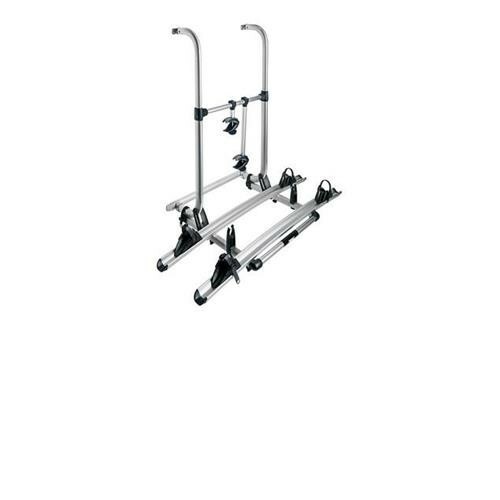 By default, the Elite G2 can carry two bikes and with optional Thule Extension kits taking this to a three bike carrier then onto a four bike carrier. 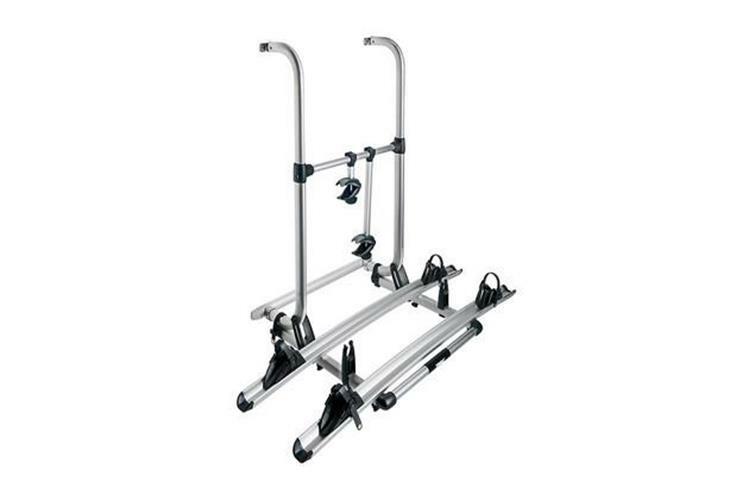 Featuring a lockable platform ensures that your bikes will not move during transportation for your safety and for other road users. 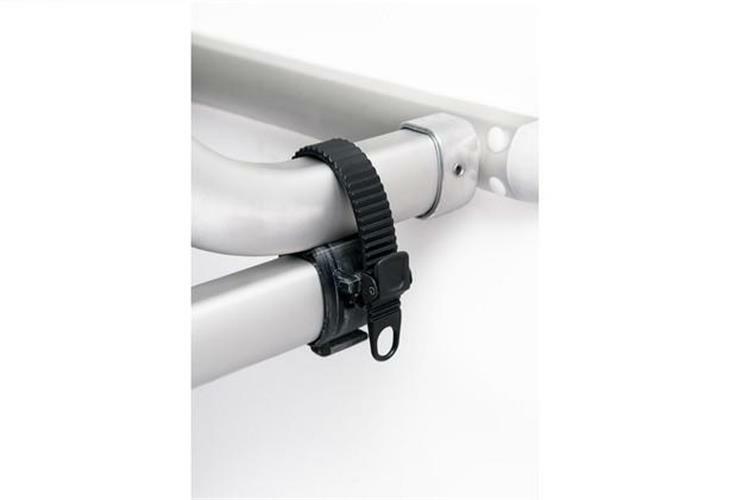 The platform is locked both in open and closed positions for optimum security and require manual locking for safety. Depending on your bike’s style, wheel base length and frame size you can always find the perfect position for your bike or bikes to travel safely. 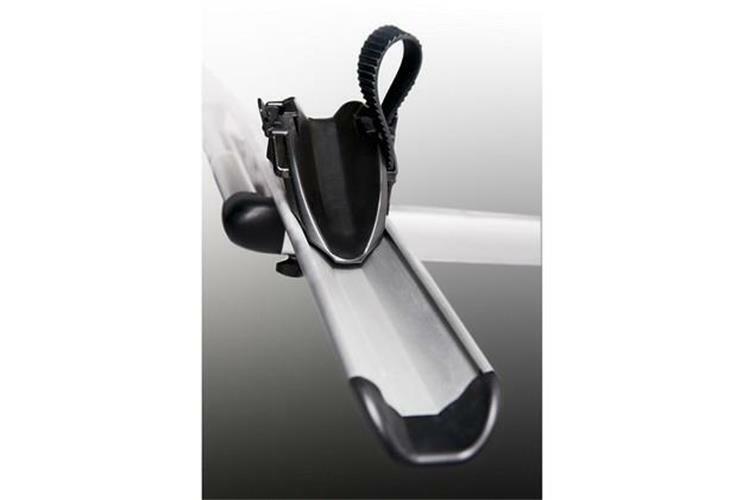 The adjustable wheel holders can be moved closer to together or further afield to hold your bike with ease, the supplied pump buckles allows you to adjust the tension for a true support! 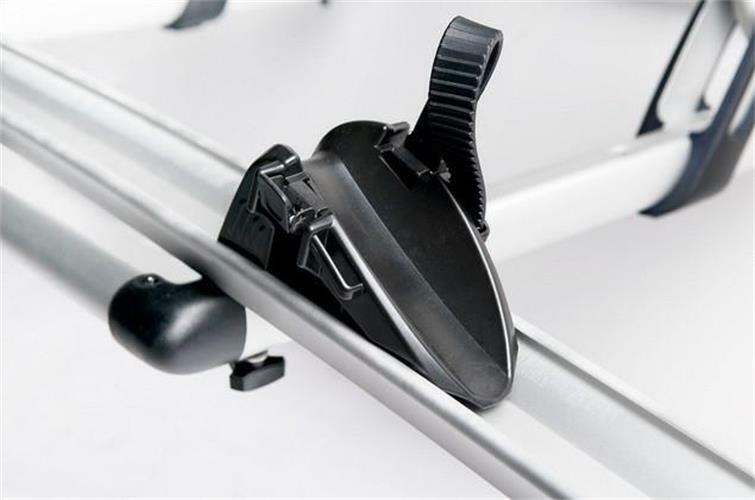 The soft touch bike holders slide left to right to easily align your bikes’ frame, and designed not to mark the frame when clamped. 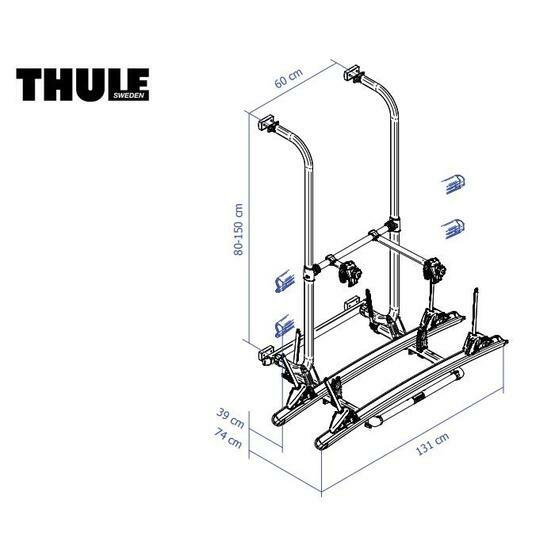 Thule advise, when loading your bikes, the heaviest must be fixed inwards and the lightest must be fixed outwards for correct balancing and weight distribution. 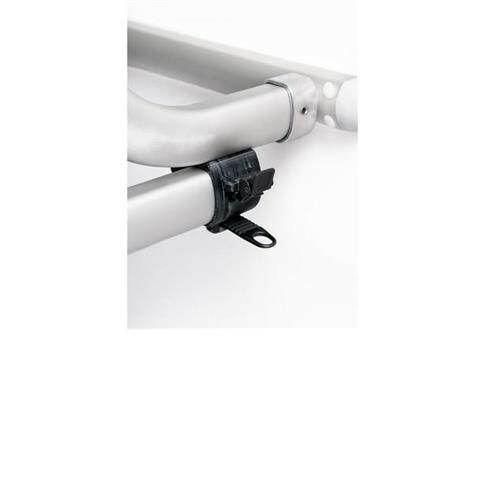 - Lockable platform: prevents your bikes from moving during transportation, it locks manually. 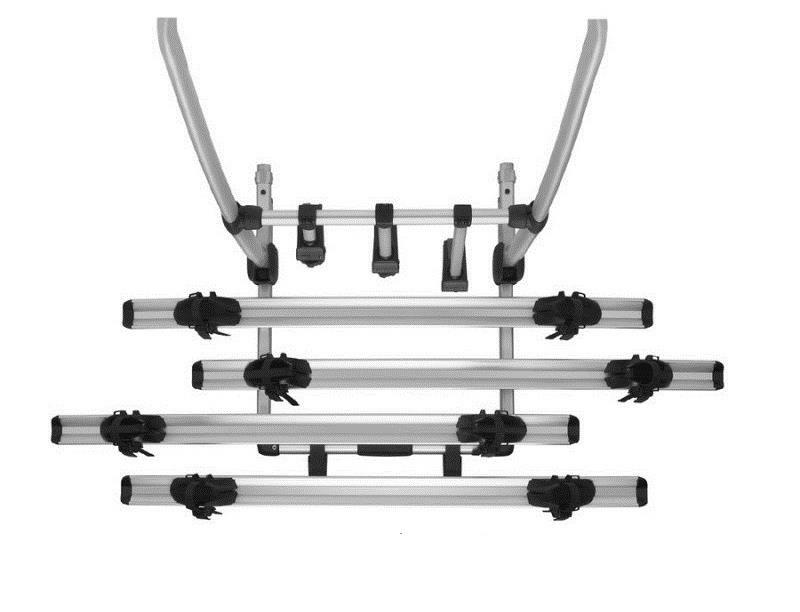 - The rails are adjustable from left to right. 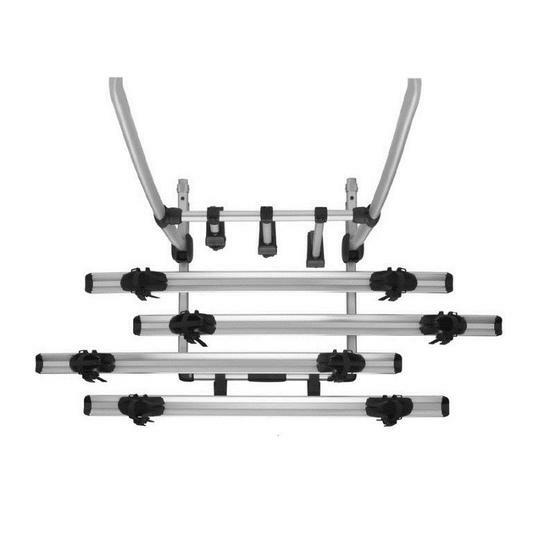 They easily slide to make sure you find the best position for your bikes without effort. 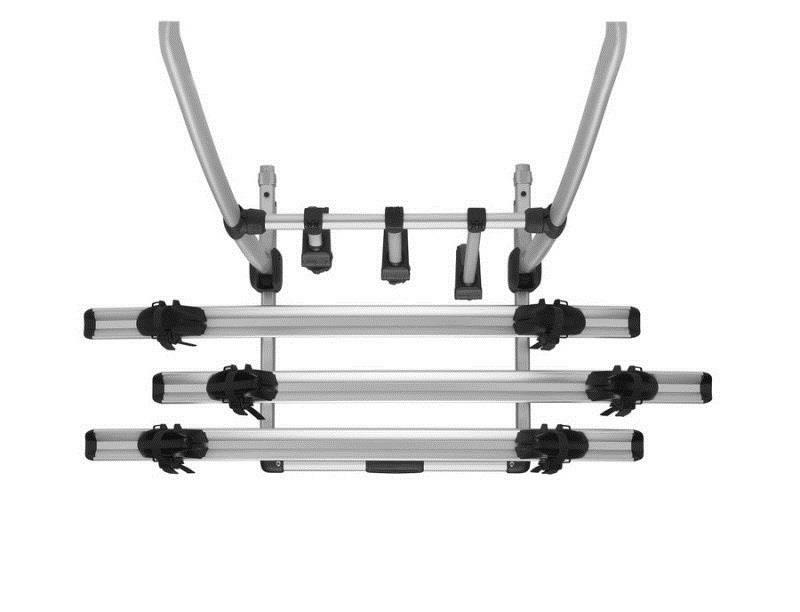 - The carrier can be extended up to 4 bikes. Set for 3rd bike and set for 4th bike are sold separately. 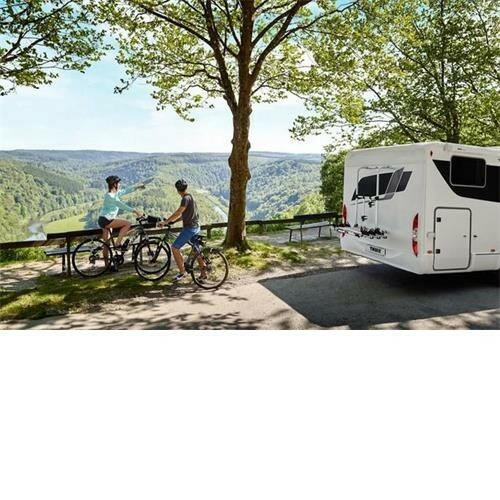 Do you own a Swift Caravan or Motorhome? 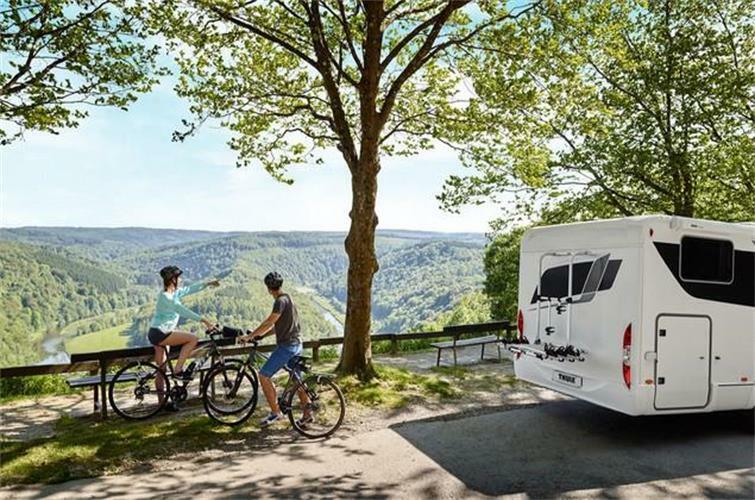 Thule have partnered with Swift Group. 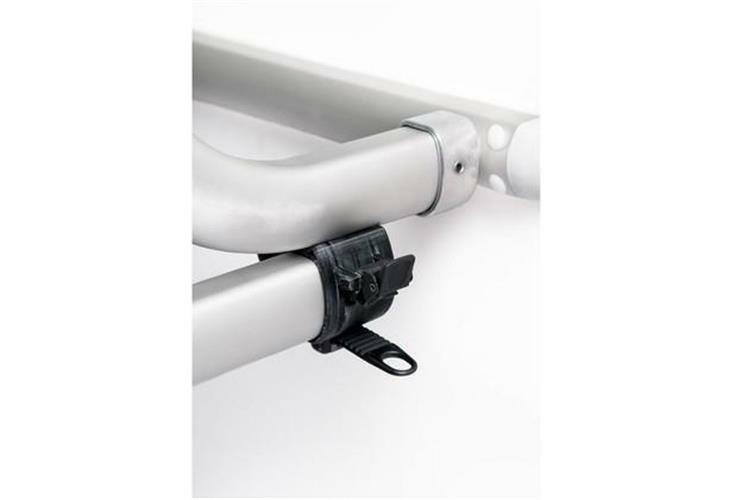 Swift Group have pre-fitted the brackets to the back of thousands of their vehicles so there is no fitting required if you purchase this bike rack. It will simply hang on to the brackets already there! 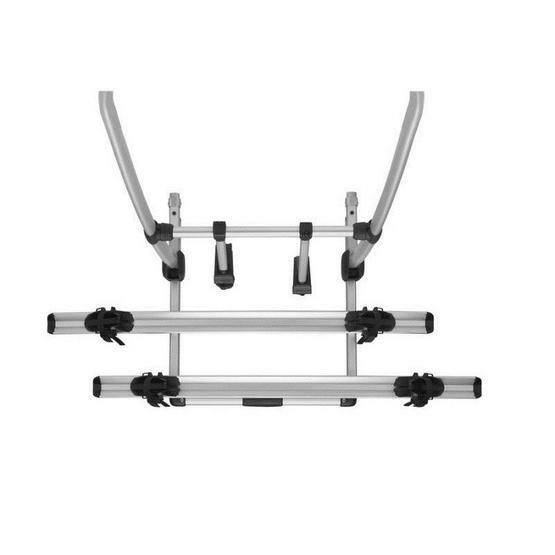 Select from the dropdown to see if this bike rack will fit your vehicle. Very helpful team at LeisureshopDirect. 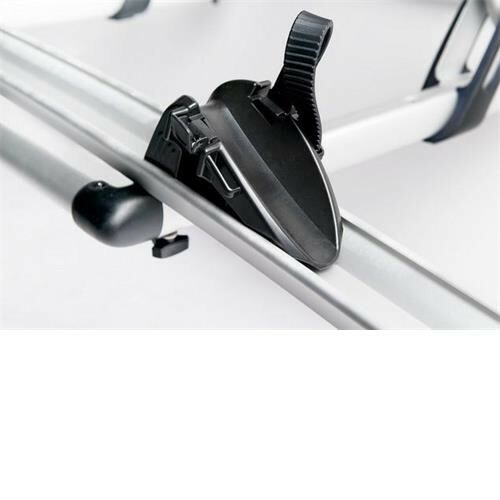 My Swift motorhome came fitted with the attachment bars, so Bike carrier easy to put on. Instructions were clear, so should be easy to fit the attachments if necessary. Bike rack bigger and bulkier that I expected (from the Fiamma I had on previous motorhome), but looks good on the back. Not used with a bike yet. Firstly the service from Leisureshopdirect was absolutely first class, ordered one afternoon and the item was delivered the following morning, I will definitely be using them for any future purchases. 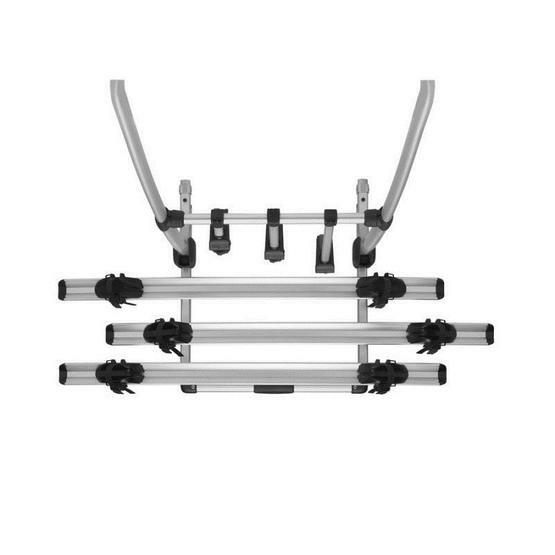 The bike rack had to be assembled, but with easy to follow instructions and extra fittings should they required it was a simple task. From delivery to task complete was under an hour, the motorhome did have both fixing bars already fitted which obviously saved time. It feels better made than previous fiamma racks I’ve had but I guess only time will tell. All in all for price, delivery, and product I can’t fault anything. Thanks Leisureshopdirect. 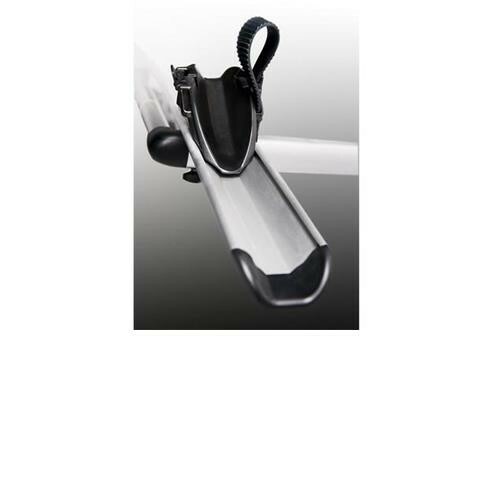 I thought I would take a look at Thule as a saw a number of people had Fiamma but heard that Thule are better quality. I am very happy with my purchase and would recommend to anyone. It is definitely better quality and better thought through than the equivalent Fiamma but I guess you get what you pay for!